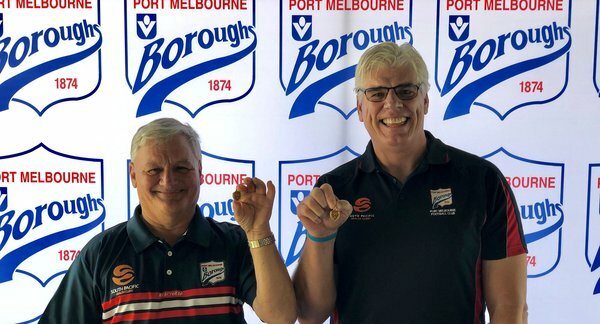 The Port Melbourne Football Club were delighted to announce the induction of two deserving recipients of Life Membership at the 2018 Annual General Meeting, held in the Sandridge Events Centre on Sunday 2nd December. As part of official proceedings, special medallions were presented to both Les Quarrell and Gary Ayres (pictured). Quarrell (left) has been an integral part of the Borough’s Football Department since 2002, serving as both a Recruiting Scout and Senior Boardman. 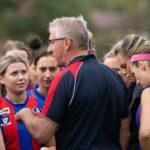 Since 2008, he has formed an indelible bond with coach Gary Ayres, sitting alongside him in the coaches’ box for all Port Melbourne games both home and away. So it seemed only fitting that Ayres (right) would join Quarrell as an inductee to receive one of the club’s highest honours on Sunday. Ayres’ football accolades are well-documented, however his legacy at the Borough will be infinitely remembered. 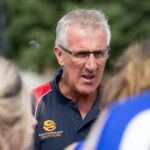 About to enter his twelfth season at the helm, Ayres has led the club to ten Finals appearances among four Grand Finals and two Premierships in his 11 seasons thus far. Both Quarrell and Ayres expressed their sincere gratitude and appreciation towards the club’s Board, administration and supporters for the honour bestowed upon them; and looked forward to continuing their involvement through the upcoming season 2019. Among other news on the day, club President Michael Shulman announced to members in attendance that the club had achieved an operating profit of $31, 913 for the 2018 financial year. 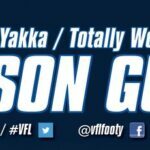 This result came despite the loss of revenue from the club’s three transferred home games in season 2018; and predominantly off the back of increased sponsorship revenue and a consolidated membership program. 2018 Annual Reports were also made available on the day. For members not in attendance, these Reports are now available to download online HERE. 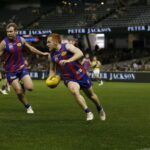 Alternatively, if you would like a hard copy distributed via post, please contact the club via email at info@portmelbournefc.com.au or phone (03) 9646 2094. The club would like to take this opportunity to thank all members, sponsors, players, staff and other stakeholders for their ongoing support; and look forward to an exciting 2019 season at the newly-named and newly-refurbished ‘Adcon Stadium’.